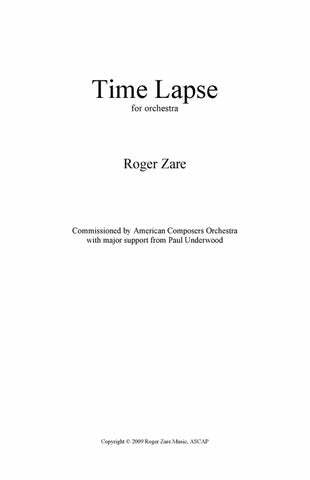 Roger Zare has been praised for his “enviable grasp of orchestration” (New York Times) and for writing music with “formal clarity and an alluringly mercurial surface.” His music often takes inspiration from science and nature. He was born in Sarasota, Florida, and began playing piano at age 5 and violin at age 11; he started composing at age 14. Roger holds a Doctorate of Musical Arts (2012) from the University of Michigan, a Master of Music (2009) from the Peabody Conservatory of Music, and a Bachelor of Music (2007) from the University of Southern California. An award-winning composer, Roger has written works for a variety of ensembles, including solo, chamber, choral, and full orchestra works. In early 2005, the New York Youth Symphony commissioned Roger to write an orchestral piece for them as part of their First Music competition. 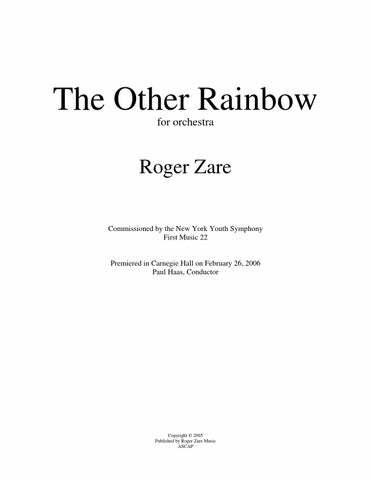 The 65th composer to win this commission, Roger wrote an orchestral composition entitled The Other Rainbow, which was premiered in Carnegie Hall in February 2006. In 2007, Roger won a BMI student composer award for his orchestral work, Green Flash, and has subsequently been awarded the 2009 ASCAP Foundation Rudolf Nissim Prize and the 2008 American Composers Orchestra Underwood Commission for the same work. Another of Zare’s orchestral works, Aerodynamics, received a 2009 BMI student composer award and was premiered by the Minnesota Orchestra as part of the 2009 Minnesota Orchestra Composer Institute. Zare has also received a Charles Ives Scholarship from the American Academy of Arts and Letters and was a fellowship recipient at the 2010 Aspen Composition Masterclass and the 2010 Cabrillo Festival of New Music Composer-Conductor workshop. He has been composer in residence of the Chamber Music Festival of Lexington (2010) and the SONAR new music ensemble (2008-present). His recent clarinet concerto, Bennu’s Fire, was written for and premiered by Alexander Fiterstein at the 2011 International Clarinet Association’s ClarinetFest and was the recipient of both a BMI Student Composer Award and an ASCAP Morton Gould Award. In 2012, Zare served as composer in residence with the Salt Bay Chamberfest in Damariscotta, Maine, and made three trips throughout the summer to present about his music to patrons of the festival. Through a program called “Sound Investment” he was commissioned by a consortium of patrons to write a new piece for the festival, “On the Electrodynamics of Moving Bodies.” Later in 2012, he was named 2012-13 Composer of the Year with the Sioux City Symphony and held a week-long residency in the Sioux City area, lecturing at various local colleges and teaching a composition master class at the University of South Dakota. The week culminated with the premiere of his Spectral Fanfare and a performance of Aerodynamics by the Sioux City Symphony, with Ryan Haskins conducting. 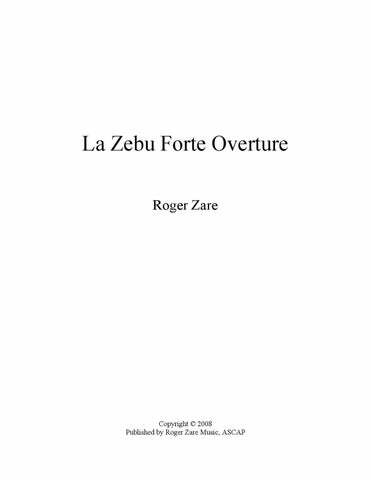 Also in 2012, Zare organized, with the help of the venerable H. Robert Reynolds, a consortium of 29 wind ensembles across the country to premiere a band transcription of his string piece, Mare Tranquillitatis. 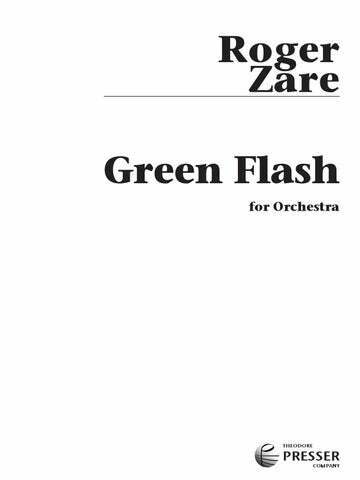 This work is currently published by FJH Music, and a number of his orchestral works, including Green Flash, are now published by the Theodore Presser Company. During his years at USC’s Thornton School of Music, Roger has studied with Donald Crockett, Tamar Diesendruck, Frederick Lesemann, and Morten Lauridsen. At Peabody, Roger studied with Christopher Theofanidis, David Smooke, and Derek Bermel, and at the University of Michigan, Roger studied with Bright Sheng, Michael Daugherty, Kristin Kuster, and Paul Schoenfield. He is a member of ASCAP. for Orchestra 9:30 2(2 dbl .Picc.) 2(2 dbl. E.H.) 2 2 – 4 2 2(2 dbl. B.Tbn.) 1; Timp. 3Perc. Str. for Orchestra 9:20 3(3 dbl. Picc.) 3 3 3 – 4 3 3(B.Tbn.) 1; Timp. 2Perc. Str. for Orchestra 15:00 2(2 dbl. Picc.) 2(2 dbl. E.H.) 2(2 dbl. EbCl.) 2(2 dbl.Cbsn.) – 4 3 3(B.Tbn.) 1; Timp./Cymb. 2Perc. Pno. Hp. Str. Version for Small Orchestra 9:00 2(2 dbl. Picc.) 2 2 2 – 2 2 1 1; Timp. 2Perc. Str. Version for Small Orchestra 15:00 1 1 1 1 – 1 1 1 1; Timp./Cymb. 2Perc. Pno. Hp. Str.